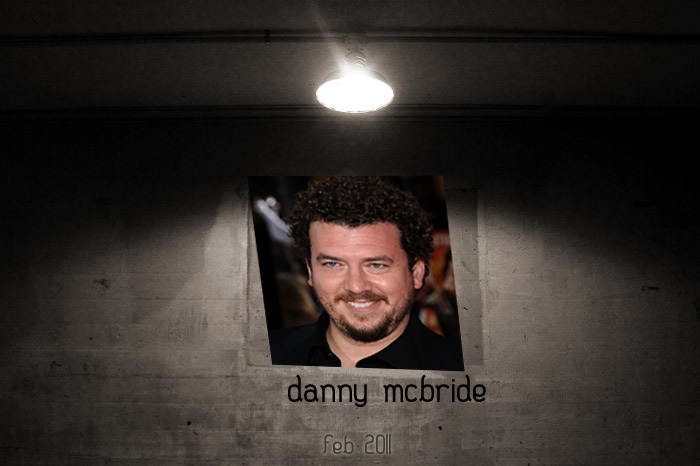 Although he was born December 29, 1976 in Statesboro, Georgia, Danny McBride grew up in Fredericksburg, Virginia. "There's a lot of Civil War action there," he told GQ. "George Washington's mom lived there. So there's a lot to live up to." He hasn't done too badly so far, and is almost certainly funnier than George Washington or his mother. They finally got somewhere with The Foot Fist Way, a zany comedy shot in North Carolina for $70,000 on a 17 day schedule. In a script he co-wrote with Hill, who also directed, and Ben Best, McBride was cast as Fred Simmons, an obnoxious and fascistic tae kwan do instructor. In short, a jerk who is unaware that the world is laughing at him. 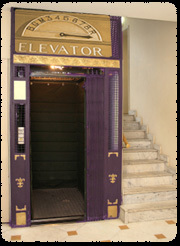 The film received a midnight screening at the 2006 Sundance Film Festival where the audience reaction was disappointing. “Before anything even happened in the movie, all these people were getting up and leaving and going out,” he remembers. “But to the people who were left, it seemed like the movie played okay.” Eventually, tapes and DVDs of the movie began to make the rounds in Hollywood. “I don’t remember who called, but one day I flipped,” McBride says. “Will Ferrell has seen this movie and liked it and wants to put his name on it.” Through Ferrell and Adam McKay, The Foot Fist Way (“The story of a man who teaches people how to kick other people in the face,” read the poster’s tagline) was picked up for distribution by Paramount Vantage. Finally reaching theaters in 2008, the film’s humor was an acquired taste. “I cannot recommend this movie,” Roger Ebert wrote in The Chicago Sun-Times, “but I can describe it, and then it’s up to you.” Ebert found the hero “loathesome and reprehensible,” but admitted that “I laughed in spite of myself,” while praising McBride as “appallingly convincing” playing a character “who might almost exist in these vulgar times.” Variety agreed, saying “Simmons will make audiences cringe - but there’s undeniable humor in his blithely unaware repulsiveness.” Peter Travers in Rolling Stone gave the film a rave (“This hilarious high-kicking nonsense costs two cents and looks it, but you’ll laugh helplessly, anyway”) and so did The New York Times which called it “an itsy-bitsy, ultra-indie, super-silly comedy packing huge laughs and unexpected heart.” McBride would briefly reprise the role in a February 2008 segment of Late Night with Conan O’ Brien, an appearance that was probably seen by more people than saw the film in theaters, but bootleg copies were finding their way to an appreciate and influential audience. Pineapple Express was warmly received. “It’s a quality movie even if the material is unworthy of the treatment,” wrote Roger Ebert. “As a result, yes, it’s a druggie comedy that made me laugh.” It made audiences laugh, too, grossing more than $80 million in the U.S. He also had a role in Tropic Thunder whose director, Ben Stiller, said of McBride, “He’s one of the most uniquely funny guys to come around since Owen Wilson and Vince Vaughn.” Appearing in two such high-profile Hollywood comedies brought McBride into the public eye like never before. "I guess it's my big summer," he told USA Today. "I don't know. I feel like I've had more eventful ones when I was a kid. I'm just lucky that I was able to land in these two movies." McBride took to television with HBO’s East Bound and Down, a series co-produced by Will Ferrell. “I play a major league pitcher who has lost his fastball, and he’s spent all his money and he’s just down on his luck,” McBride said in explaining the show. “So he comes back to the town that he grew up in and crashes with his brother.” In reviewing the show’s premiere episode, The San Francisco Chronicle called it “mostly stupid, frequently unfunny and covers for its lack of original comic material by dropping f-bombs all over the place.” Despite the critical drubbing, East Bound and Down had its devotees and was renewed for a second season. He was back on the big screen in Land of the Lost, one of the most anticipated films released in summer 2008. “As big as this movie is, there’s really like only four actors in it, so it feels really small," McBride said. "So it still feels intimate, but it’s just gi-normous.” The film starred Will Ferrell who played such a pivotal role in McBride's career, "but this was the first time I got a chance to really work with him, and he was awesome." The big-budget revision of a kid’s show from the 1970's was also an awesome dud, a flop with critics and audiences alike. “If you don’t find Land of the Lost, you won’t have missed much,” Claudia Puig sneered in USA Today. As Roger Ebert observed, the movie “inspires fervent hatred,” but he was one of the few critics to give it a pass. McBride had a smaller role in the same year’s Up in the Air. The most prestigious film in which he had yet been cast, it was attracting serious award buzz from the moment it was released. It would prove to be a contender for the 2009 Academy Award for best picture. What's next for this new comic wunderkind? There's Your Highness, a comedy he co-wrote with Ben Best that stars two of this year's Oscar nominees, Natalie Portman and James Franco. "It's an idea that David and I had back in film school. The concept then was just, like, I'm a knight who gets stoned and kills dragons. I look at the footage and like 'I can't believe a studio paid money for us to do this.'"